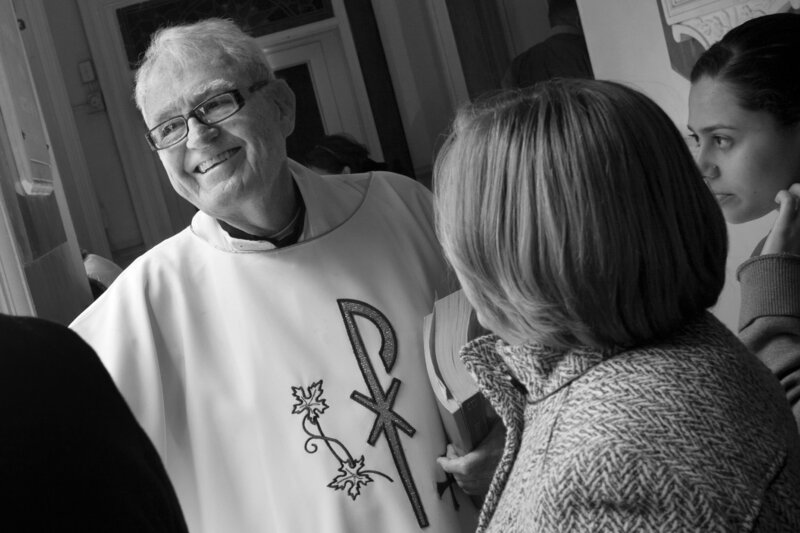 In his Sidestreet column in today's New York Times titled A Priest’s Legacy: Blessing His Flock, and Organizing It, David Gonzalez gives us the life and mission of Father Neil Connolly. Once again I was introduced to someone that I regret not knowing in their lifetime. He was granted long tenures at St. Athanasius and later, St. Mary's on the lower east side. He accompanied his parishioners through the difficulties and, in return, they followed him as their trusted and loved shepherd. "He had left soon after his friend and mentor was reassigned. And while his faith is resolute, he has yet to find another parish like the one led by Father Neil. “I just go from parish to parish,” he said. “I haven’t found another spiritual home. I pray to God I will. But I am full of the richness I got from Father Neil.”"